Stele at the entrance of ancient Tanais with image on pediment of goddess Tikhe — the guardian of city gates. 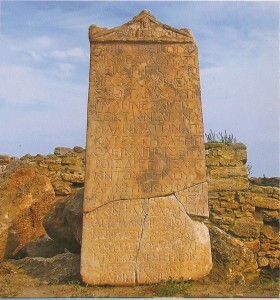 Middle of III century B. C.
DE Die Stele am Eingang ins altertьmliche Tanais mit der Abbildung der Göttin Tiche, Schützerin des Stadttors, am Fronton. Mitte des 3. Jh. 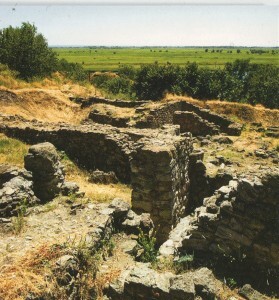 South-west area of ancient settlement. III century B.C. DE Der südwestliche Stadtteil. Das 3. Jh. u.Z. 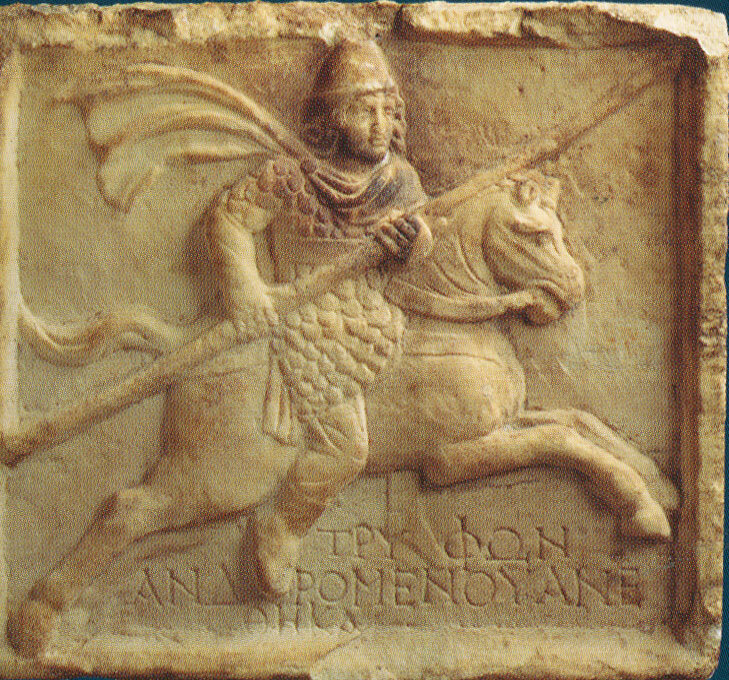 Relief with image of Triphon and dedicatory script. Middle of II century B. C. (copy, the original is kept at State Hermitage). DE Das Relief mit der Trifon-Abbildung und Widmungsbeschriftung. Mitte des 2. Jh. u.Z. (eine Kopie, das Original befindet sich in der Staatlichen Ermitage).